Weather patterns are responsible for some of the most fascinating events in nature. When the conditions are just right, something as common as an ordinary downpour can turn into an amazing rare phenomenon. But one strange weather pattern is taking the world by storm, and quite literally. It’s called a rain bomb, and it’s like something straight out of a sci-fi movie! 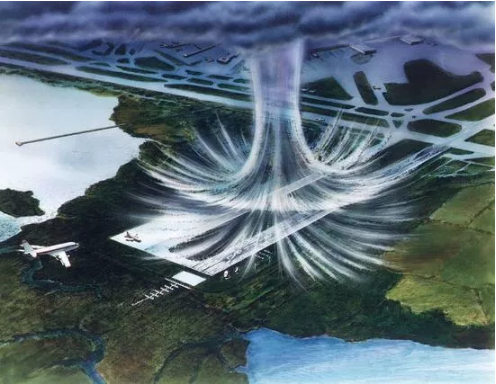 More commonly known as a microburst, a rain bomb happens when a cooled heavy column of air sinks suddenly in the middle of a storm. This downdraft pulls the water droplets down with it with tremendous force. When the air hits the ground, it’s pushed outward in a curling motion, causing winds of up to 150 mph and bringing crushing torrents of rain. 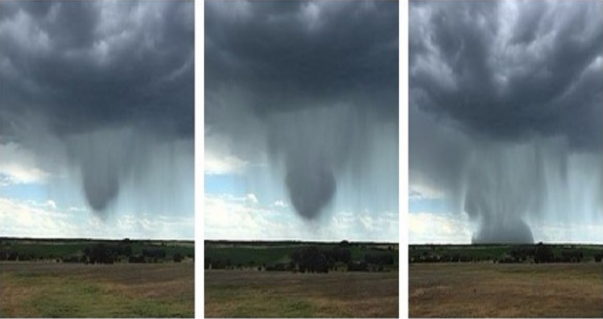 Microbursts reach areas of no more than 2.5 miles across, and they come and go quickly, making them extremely rare. But this storm chaser in Arizona was lucky enough to capture a rain bomb in action! This incredible phenomenon is amazing to look at from a distance. But I definitely wouldn’t want to be caught in the middle of one! Share this rare footage with others below. It’s really, really cool!